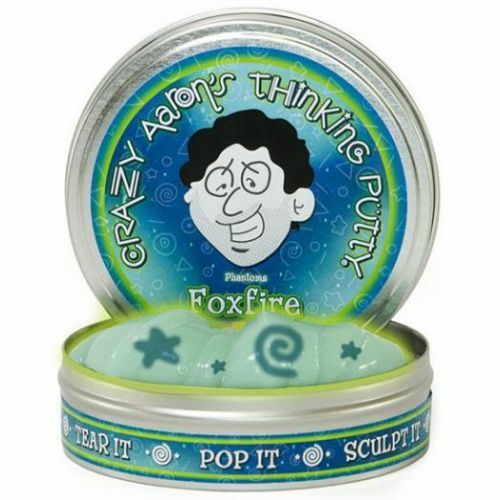 Crazy Aaron's Foxfire 4" Thinking Putty. Foxfire is the name of an eerie glow created by phosphorescent fungi in decaying wood. 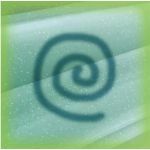 A natural wonder, foxfire is often associated with magical things like woodland fairies and the will o' the wisp. 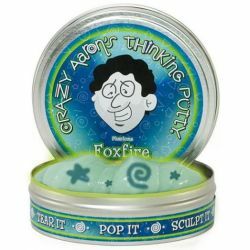 Foxfire Thinking Putty is equally wondrous. This glimmering light green putty shines a bright blue with a green edge in the dark. Plus, you'll reveal a supernatural glow when you draw on Foxfire with the included Glow Charger™.